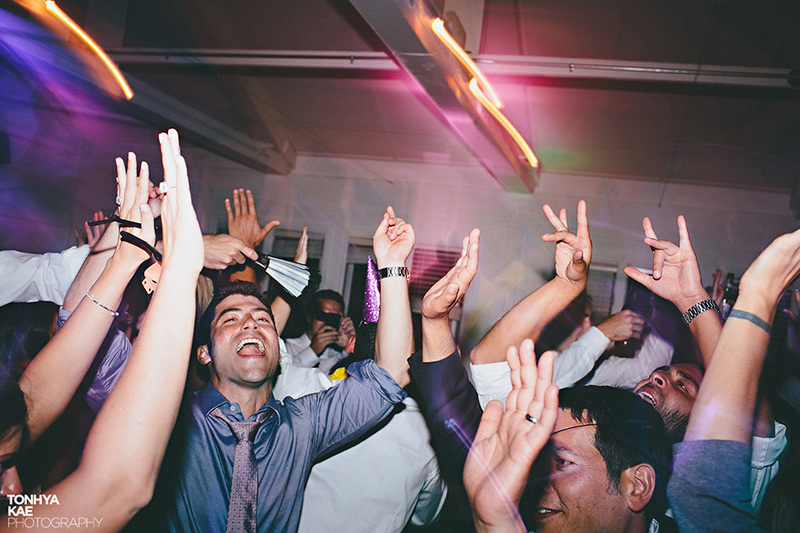 If you are trying to decide on a DJ for your wedding, STOP RIGHT HERE. 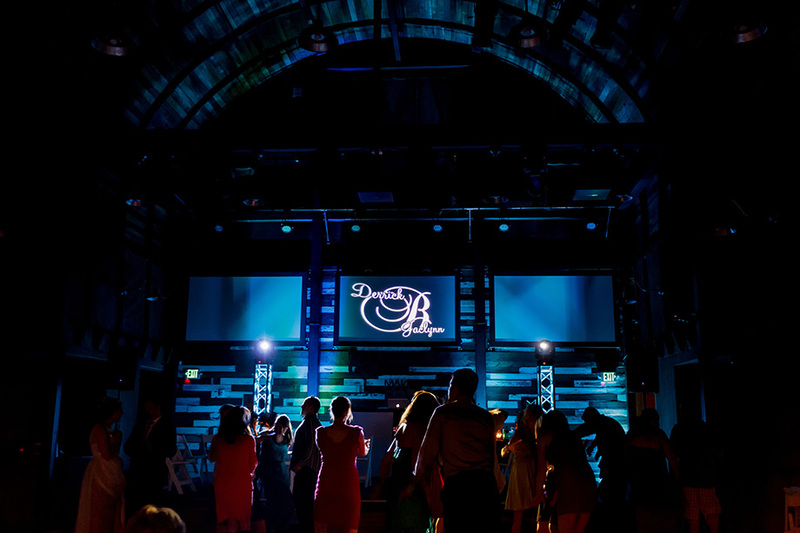 Working with Ideal Entertainment was THE BEST decision we made during the wedding planning process. Tim, the owner and "master of ceremonies" as we called him has been a friend of mine for the past five years, ensuring a good time for me and my coworkers at our holiday parties. I knew his style and level of professionalism from working with him on company events. Being a wedding client of Tim's was another level of awesome for me and my groom. We were so thrilled with his hands on approach, making us feel quite honestly like his only clients. 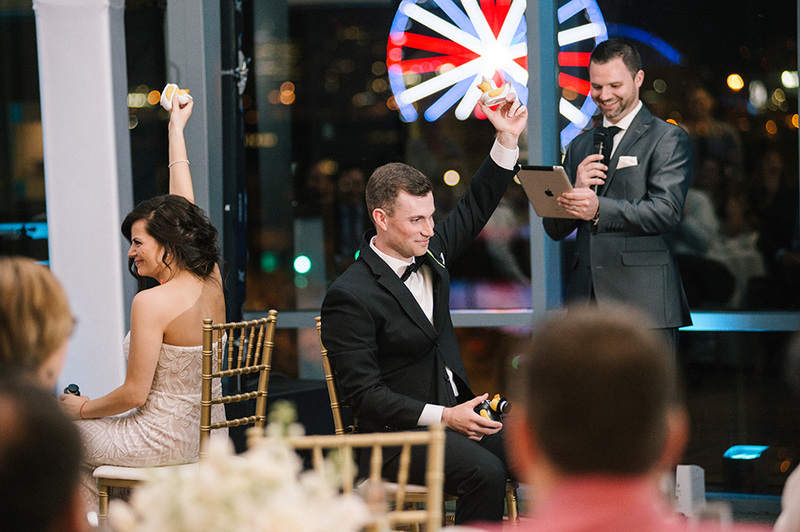 After deciding not use a wedding planner (because of my own event planning experience and the desire for a down to earth, true to us style of wedding), I quickly realized that I was in over my head in more than a few ways. Planning an event with your own money and for yourself can be extremely overwhelming. But, with Tim's help and incredible vision over many coffee dates, we planned out timelines, worked through details, assigned tasks and were able to put some amazing wedding plans in place. I couldn't imagine the planning process working without him. When it came to execution, Ideal Entertainment delivered to the highest order. Showing up early to ensure every detail we had discussed together came to fruition was just the beginning. Ou wedding day was one that some may put in the "unfortunate" column. A beautiful September weekend in Chelan turned into an extremely rainy and blustery wedding day. All morning, it rained. Just an hour before the ceremony it stopped. However, the wind was just getting started with us. We (& my veil) spent our ceremony fighting the wind. It was still beautiful and Tim's suggestion of using sound equipment during the ceremony saved us on that windy day. The reception was so fun, and so cold. Tim did an excellent job of keeping my guests happy in the cold! A dance party is the perfect defense against cold wind. :D Call Ideal Entertainment now, you will not regret it! Kayla D.
Where do I even begin... our night was flawless and Tim/Ideal Entertainment were a HUGE part of that. 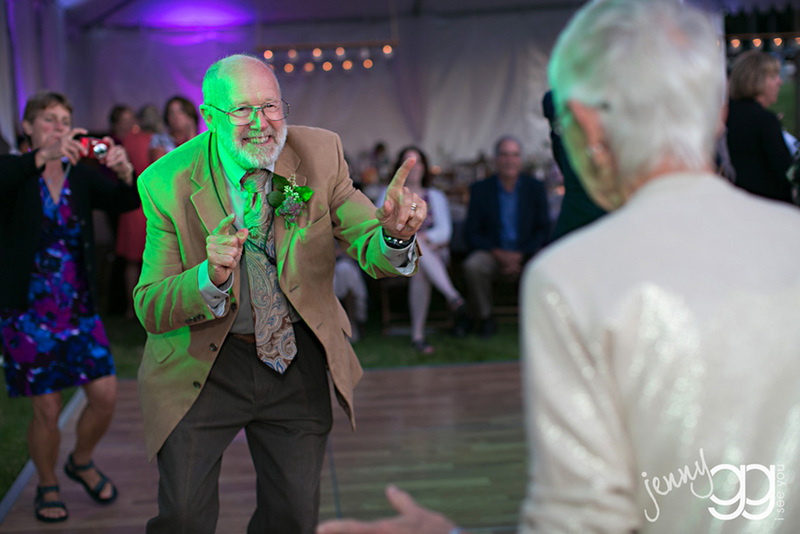 We had a relatively early wedding start time (2:30pm ceremony) so I was expecting the party to shut down earlier than most weddings... lets just say Tim had our guests on the dance floor ALL NIGHT LONG!! Seriously, I think we all could have danced until the early hours of the morning because Tim and his team kept playing song after song and each one was better than the last. His ability to read the room and know exactly where to go is amazing - he exceeded all of my expectations! The attention to details, the way he introduced our love story, our speeches, our dances, the lighting... can we go back?! It was perfect. 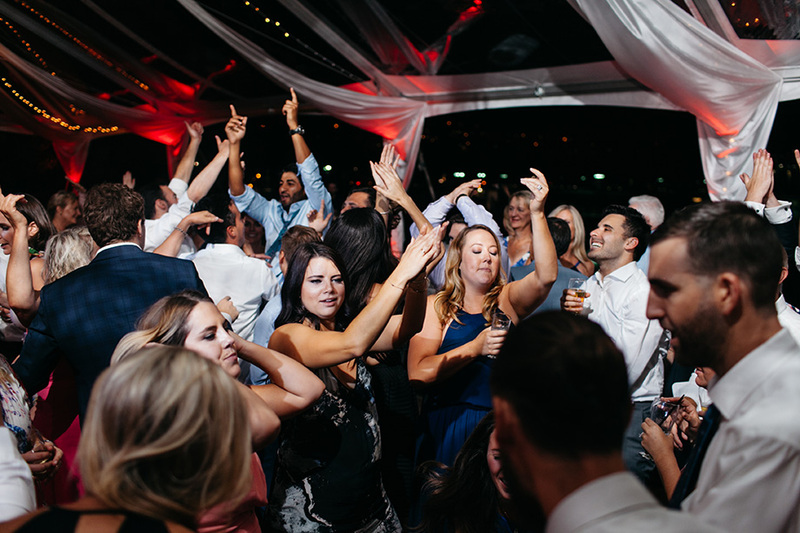 I am already planning some kind of party to have Tim and his team at because it was truly the best dance party of our lives - our guests could not stop raving about him months and months later. Thank you, Tim. Truly, you made our perfect day even more special and we are so grateful to you. Do yourself a favor - save the stress and work with Ideal Entertainment. We couldn't be happier. Ariana K.
Before we get into the good and the bad, the whys and the why nots, you should know one thing and Tim... HE WILL NOT DISAPPOINT! 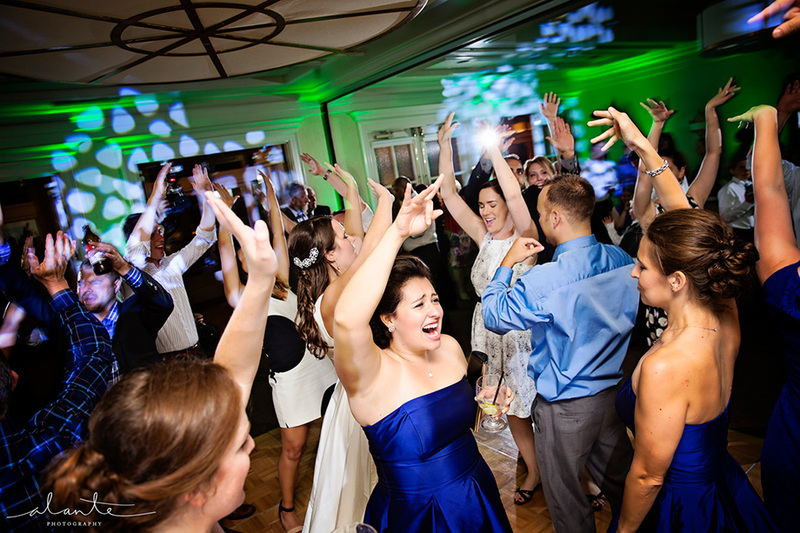 He will fully satisfy your entertainment vision for your wedding day and you should move forward with reserving him for your date. Vendors this good do not last long on the market! 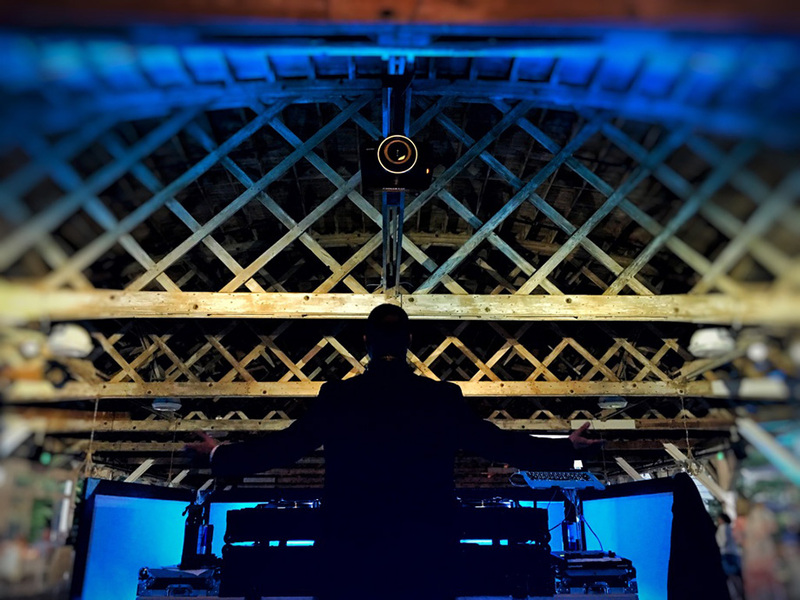 The DJ/MC is the one who shares your story, your love for each other and your journey as a couple with all your loved ones on your wedding day. 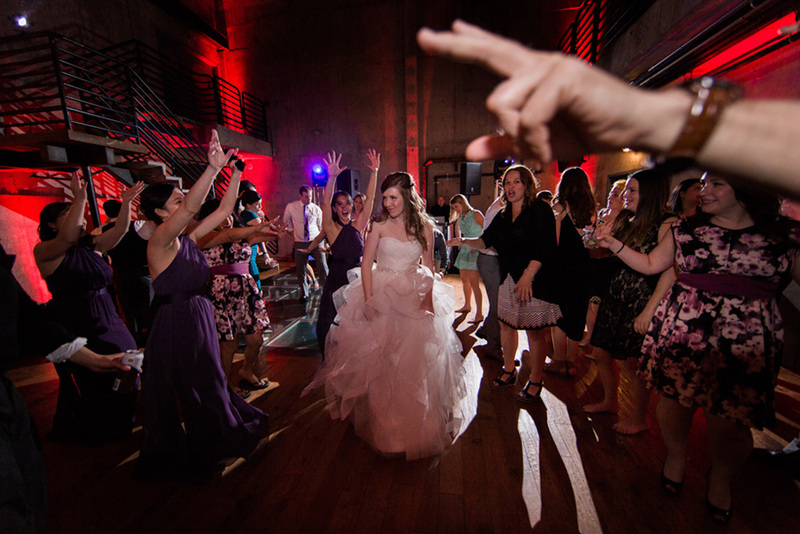 It is the most important vendor to set the tone of your wedding. And Tim portrayed us perfectly! My family and friends kept talking about the wedding for 3 weeks after because they had so much fun! Dozens of guests told us that our wedding was the best one they had EVER been to, and in large, we believe that is thanks to Tim. Okay, now you can read on... •Very organized - Tim has an event planning tool that I could use to share all my details, names, times, songs, etc with him. In return he was able to review, provide suggestions and edit. After he reviewed my input, he would respond with some work flow and timing suggestions, and I agreed with pretty much all of his suggestions and ideas! •Personable - Tim won both my husband and I over pretty quickly. He was funny, captivating and outgoing, which you want in your MC. •Professional - Tim is an excellent communicator and always on time. •Couple/Client First Outlook- In all meetings and communications Tim prepared questions for me so he could evaluate our style/taste and our vision for the day. It was refreshing that he wanted it to be OUR vision, with his support and suggestions, and not just what had worked for him in the past and would be easy for him to execute. •Focused - Sometimes I can be indecisive, he helped keep me on track and not teeter back and forth too much on song choices as we made pre wedding decisions. 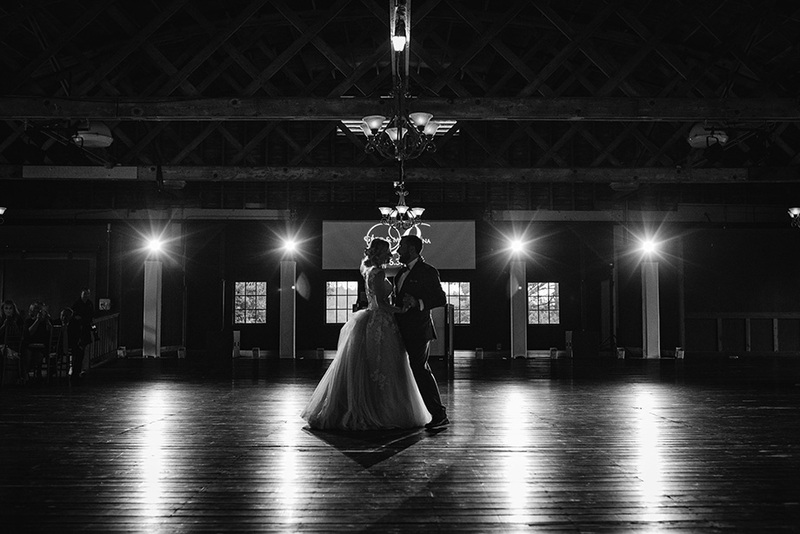 •Flexible - During the wedding my husband and I made a couple of changes on the fly that Tim adjusted to with ease without disrupting the flow of the evening. •Leader - He worked so well with all of my other vendors and was outstanding in organizing my bridal party the day of. As you can imagine, the bridal party can get off track pretty quickly, especially if the bride and groom each have 8 members like we did. 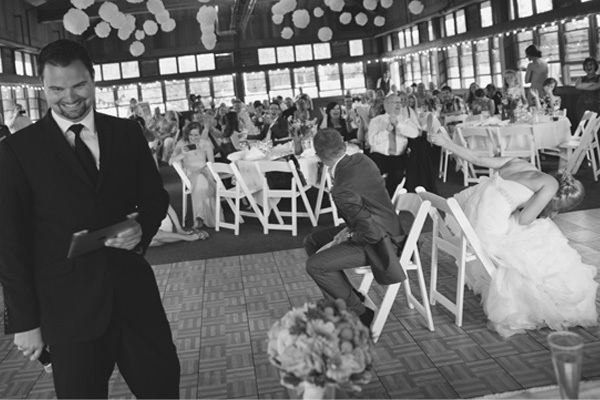 •Flow Master- Not only did he keep the bridal party on task, he helped keep the entire program moving. 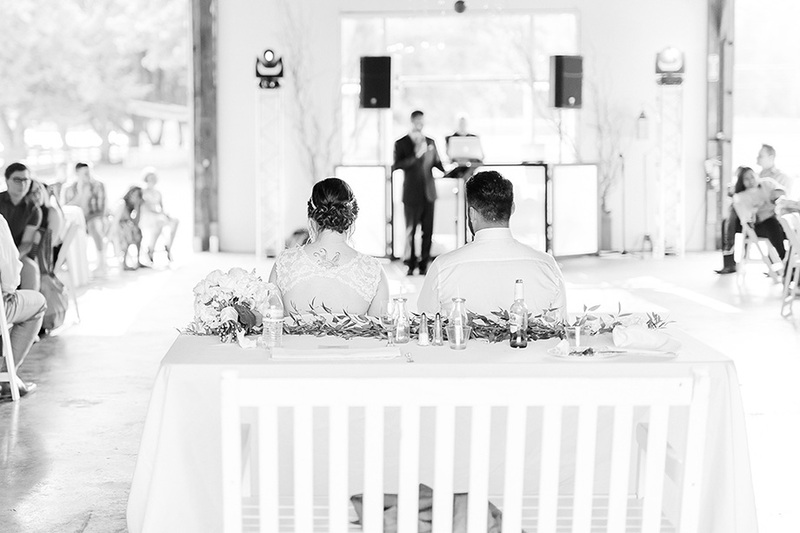 He made sure my husband and I did not spend too much time on one activity or greeting one table, but just the right amount so we could enjoy the moment/evening and all of our guests could too. •DJ Wizard - All I have to say is, the dance floor was packed! My only complaint, needed a bigger dance floor. Honestly, I cannot think of any complaints or changes that I would make. Lauren M.
Tim is so much more than a DJ! He truly cares about about his couples and took the time to get to know us in order to make our experience and entire wedding so much more personal. He met with us several times over the planning process and was always so accommodating! I can't thank him enough for everything he did to make our day so special! Dancing was our favorite part of the night and the floor was always packed! Jenna K.